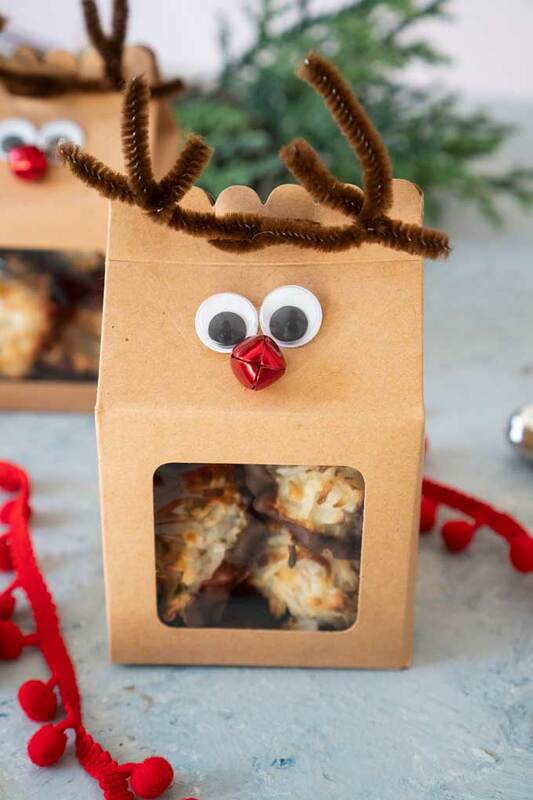 I’ve shared a few cookie recipes here lately as I’ve started my holiday baking so I thought it only fitting to share a super cute and easy way to gift your holiday goodies as well-these adorable Reindeer Gift Boxes! This is such a simple idea but turns out so cute with very little effort and very inexpensive supplies! See the video above to watch how to make a reindeer gift box in detail! 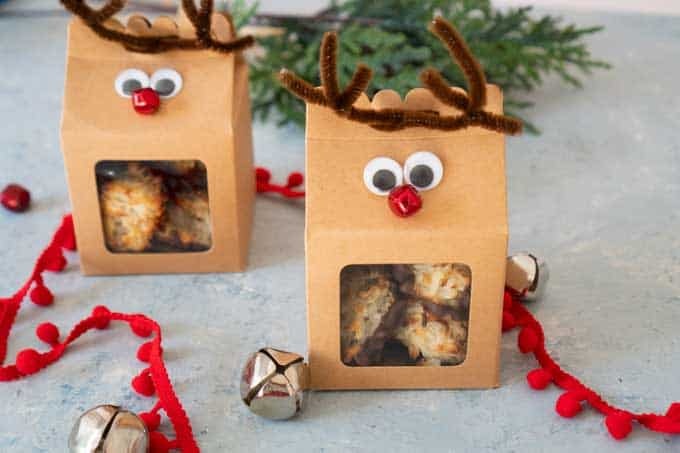 To make your reindeer horns remove the ribbon that comes with the box and thread the brown pipe cleaner through the holes. Twist at the top to secure the box closed. Snip about 1.5 inches from each end. Curve the remaining pipe cleaner upward. Twist the 1.5 piec eyou cut around the “antler” to create branches off the main bit. Use hot glue to adhere the googly eyes and bell for a nose. Allow to dry and you’re all finished!